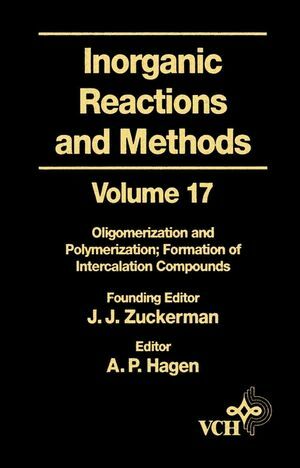 J. J. Zuckerman is the editor of Inorganic Reactions and Methods, Volume 17, Oligomerization and Polymerization Formation of Intercalation Compounds, published by Wiley. A. P. Hagen is the editor of Inorganic Reactions and Methods, Volume 17, Oligomerization and Polymerization Formation of Intercalation Compounds, published by Wiley. Editorial Consultants to the Series.